How Long to Get the License Code? Home>>Support Center>>How Long Will I Receive the License Code after I Completed the Purchase? Way 1: When the order is completed, you can check your license code directly, which will displayed on the "Order Complete" page. Way 2: When you completed the order, you can go to the "Order Search" page of the payment platform (MyCommerce) to search for your order, which contains your license code. Way 3: Once your order is fulfilled, you will be sent an email containing the license code from the payment platform (MyCommerce) within minutes. You can check the email later in the email address you've provided when placing the order. If you can't find it, please ensure the email address you offered is valid and check your junk/spam box as well. Notes: Please remember to back up your license code after you received it for further use. 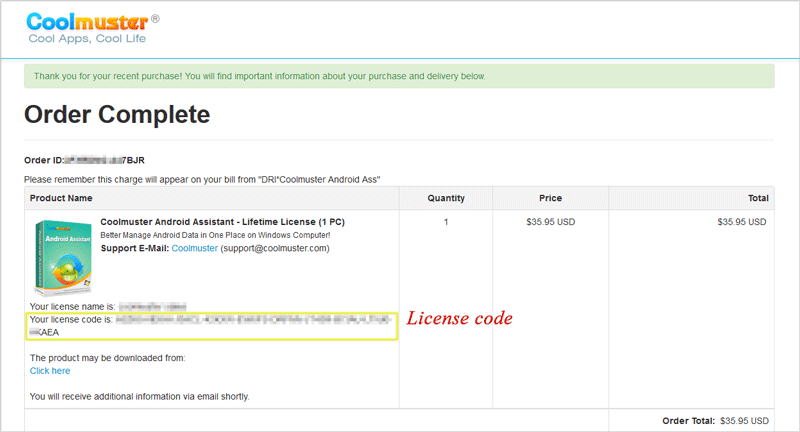 What to do if the received	license code is invalid? 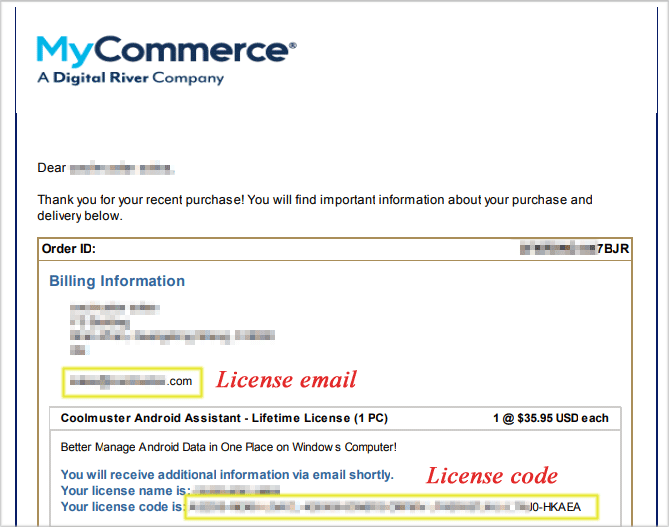 How to register my software after I received the license code?